High-performance computing, artificial intelligence, and visualization GPUs have a wide variety of uses. That’s why Microsoft has partnered with NVIDIA to bring a wide variety of NVIDIA GPUs to Azure. Join us in San Jose next week at NVIDIA’s GPU technology conference to learn how Azure customers combine the flexibility and elasticity of the cloud with the capability of NVIDIA’s GPUs. At Booth 603, Microsoft and partners will have demos of customer use cases and experts on hand to talk about how Azure is the cloud for any GPU workload. We will have demos from our partners at Altair, PipelineFX, and Workspot. In addition, you can learn about work we’ve done in oil & gas, automotive, and artificial intelligence. In Video Indexer, we have the capability for recognizing display text in videos. 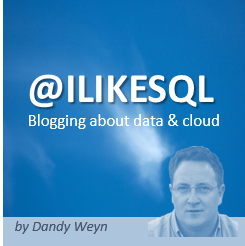 This blog explains some of the techniques we used to extract the best quality data. To start, take a look at the sequence of frames below. Did you manage to recognize the text in the images? It is highly reasonable that you did, without even noticing. However, using the best Optical Character Recognition (OCR) service for text extraction on these images, will yield broken words such as “icrosof”, “Mi”, “osoft” and “Micros”, simply because the text is partially hidden in each image. There is a misconception that AI for video is simply extracting frames from a video and running computer vision algorithms on each video frame but video processing is much more than processing individual frames using an image processing algorithm – for example, with 30 frames per second, a minute-long video is 1800 frames producing a lot of data but, as we see above, not many meaningful words. There is a separate blog that covers how AI for video is different from AI for images. Looking to transform your business by improving your on-premises environments? Accelerating your move to the cloud, and gaining transformative insights from your data? Here’s your opportunity to learn from the experts and ask the questions that help your organization move forward. Join us for one or all of these training sessions to take a deep dive into a variety of topics. Including products like Azure Cosmos DB, along with Microsoft innovations in artificial intelligence, advanced analytics, and big data. By the end of this series, you’ll be able to build serverless applications and conduct real-time analytics using Azure Cosmos DB, Azure Functions, and Spark. Register to attend the whole Azure Cosmos DB series, or register for the sessions that interest you. This blog post was co-authored by Riham Mansour, Principal Program Manager, Fuse Labs. Conversational systems are rapidly becoming a key component of solutions such as virtual assistants, customer care, and the Internet of Things. When we talk about conversational systems, we refer to a computer’s ability to understand the human voice and take action based on understanding what the user meant. What’s more, these systems won’t be relying on voice and text alone. They’ll be using sight, sound, and feeling to process and understand these interactions, further blurring the lines between the digital sphere and the reality in which we are living. Chatbots are one common example of conversational systems. Voice is becoming more and more prevalent as a mode of interaction with all kinds of devices and services. The ability to provide not only voice input but also voice output or Text-to-speech (TTS), is also becoming a critical technology that supports AI. Whether you need to interact on a device, over the phone, in a vehicle, through a building PA system, or even with a translated input, TTS is a crucial part of your end-to-end solution. It is also a necessity for all applications that enable accessibility. Powered by the latest AI technology, these 34 languages are available across 48 locales and 78 voice fonts. Through a single API, developers can access the latest-generation of speech recognition and TTS models. 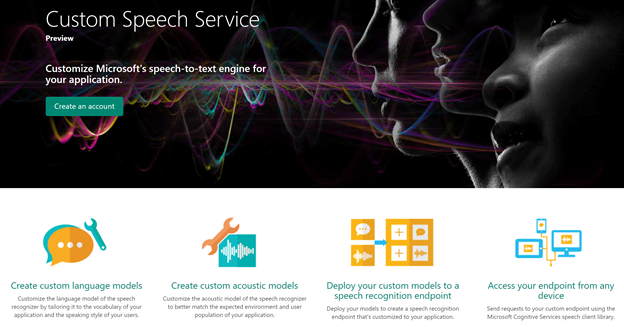 This Text-to-Speech API can be integrated by developers for a broad set of use cases. It can be used on its own for accessibility, hand-free communication or media consumption, or any other machine-to-human interactions.